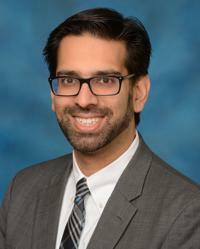 Dr. Mohummad Siddiqui is a fellowship-trained specialist in Urologic Oncology and Robotic Surgery. He joined the faculty at the University of Maryland in 2014 after completing training at MIT, Harvard, and the NIH in the field of Urology and subspecialty of Urologic Oncology. He is the Director of Urologic Oncology and Robotic Surgery at the University of Maryland Medical Center. He specializes in the surgical management of urologic cancers such as prostate, bladder, kidney, and testicular cancer. Dr. Siddiqui is dedicated to providing the highest quality, cutting-edge care to his patients while minimizing the impact that treatment has on their quality of life. He utilizes the DaVinci robot when appropriate for his surgical procedures, but he also values the opinion that in cases when a disease can be managed without surgery (such as with active surveillance) or with minimal intervention such as with prostate focal therapy with MRI guidance, these options may be the best treatment path for the patient. We are actively developing a program in focal therapy of the prostate investigating approaches such as focal brachytherapy, IRE (irreversible electroporation) and cryotherapy. We also have established a team to study alternate lifestyle changes, such as changes in diet, to better manage prostate cancer. We have an ongoing trial in coordination with a multidisciplinary team including a dietician to implement diet changes, such as the ketogenic diet, in men diagnosed with prostate cancer. We have a lab in which we study the changes in cancer metabolism as cancers go from less aggressive to more aggressive types. Dr. Siddiqui has established a medical practice specialized in patients with complex presentations such as patients with extensive medical histories and patients with aggressive, complex tumors. He furthermore maintains active research programs testing the use of diet to improve cancer outcomes and the use of imaging to better identify and ultimately treat urologic cancers. Prostate cancer, Bladder cancer, Testicular cancer, Kidney cancer, Adrenal cancer, Robotic Surgery, Prostate focal therapy, Diet and cancer, Urologic oncology, Minimally invasive urologic surgery, MRI Fusion guided prostate biopsy, Magnetic resonance imaging.